Our products are packaged in boxes of 12 containers and the price is per box. You can also build your own box with a mix of any products. Delivery is free throughout Quebec and taxes are included in the price when they apply. Our Organic Strawberry spread will please all fruit lovers. A delicious fruit taste with no added sugar, indulge and enjoy this guilty pleasure…without the guilt. This product follows our quality and local development philosophy. 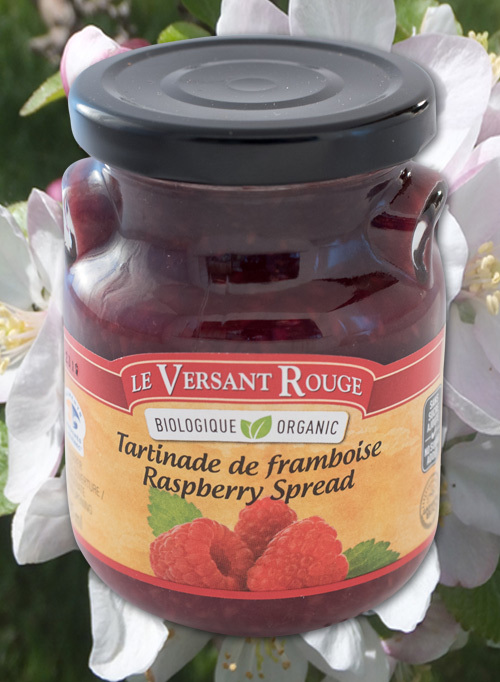 Our Organic Raspberry spread will please all fruit lovers. A delicious fruit taste with no added sugar, indulge and enjoy this guilty pleasure…without the guilt. This product follows our quality and local development philosophy. 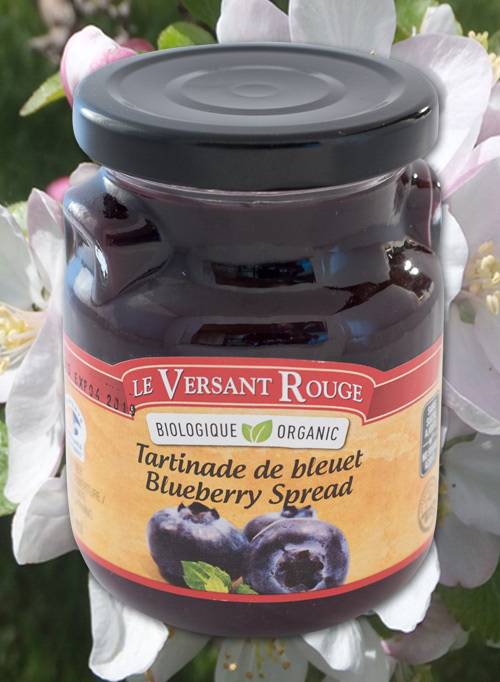 Our Organic Blueberry spread will please all fruit lovers. A delicious fruit taste with no added sugar, indulge and enjoy this guilty pleasure…without the guilt. This product follows our quality and local development philosophy. 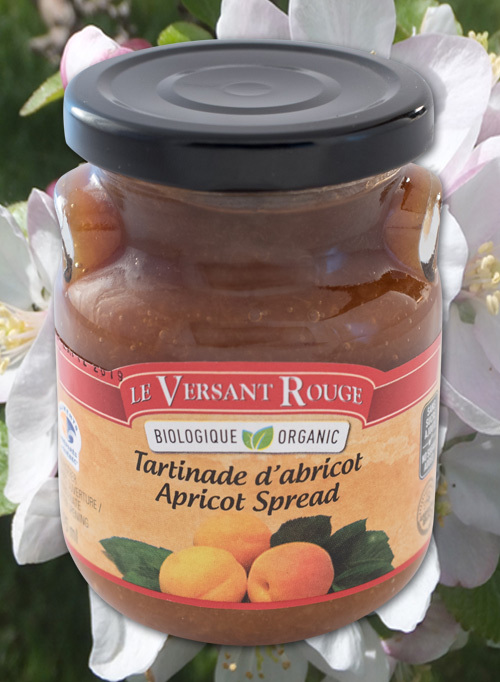 Our or Abricot spread will please all fruit lovers. A delicious fruit taste with no added sugar, indulge and enjoy this guilty pleasure…without the guilt. This product follows our quality and local development philosophy. Our Pure Strawberry jam is one of the first-rate products on the market. Prepared using traditional techniques, it can be served on toasts, croissants as well as pancakes or even as an ici cream topping or between a layered cake. Healthy and natural, made from real strawberries grown right. Here on our farm ! Our Pure Strawberry-Rhubarb jam goes very well with toasts, croissants as well as pancakes. This jam offers the exquisite taste of Strawberries and Rhubarb while allowing the Rhubarb to preserve its humble taste. With its first-rate appearance and taste, this jam will be the light of the party and will elevate any dish whether it being breakfast or your favorite meal. 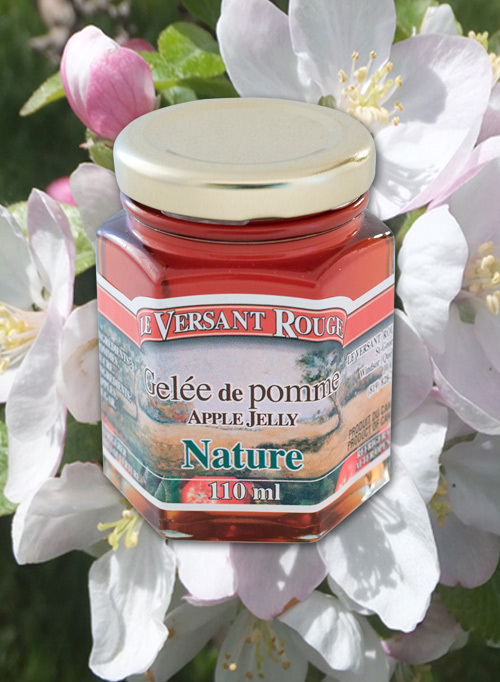 Our Apple jelly is one the first-rate products on the market. Prepared using traditional techniques, it can be served on toasts, croissants as well as pancakes. It marries itself very well with pork, chicken and beef. 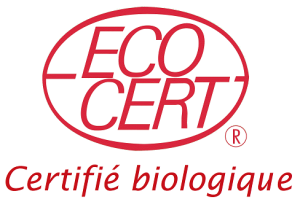 Made from natural products, without the addition of preservatives, chemical additives or pectine. Apple-Elderlyberry Jelly is a superior quality product on the market. Designed using traditional techniques, it can be served on toast, croissants, pancakes. It also goes very well with pork, chicken and beef. Ingredients: Apples, elderberries and sugar. Apple-Strawberry Jelly is a superior quality product on the market. Designed using traditional techniques, it can be served on toast, croissants, pancakes. It also goes very well with pork, chicken and beef. Ingredients: Apples, strawberries and sugar. 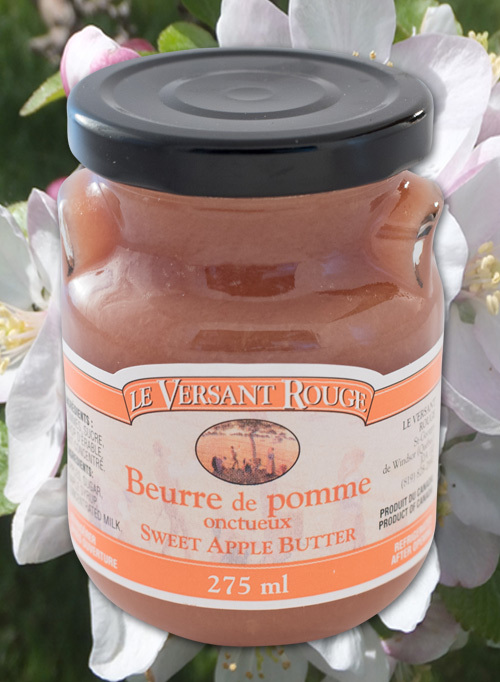 Our rich and smooth Apple butter is a first-rate product. As a matter of fact, this is on of Québec’s unique recipes. It can be served for breakfast on toasts, as an ice cream topping for dessert or icing on your favorite cake. 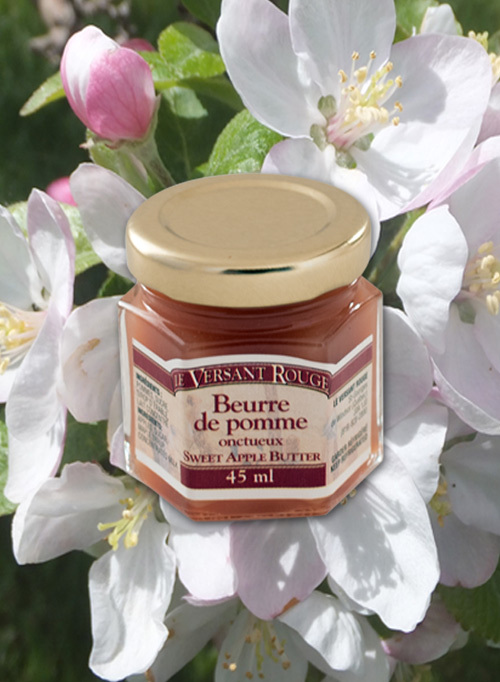 Treat your taste buds to a taste of apples an maple syrup ! Ingredients: Apples, sugar, maple syrup, concentrated milk. Our rich and smooth Strawberry butter is made from our Apples and our Strawberries to which we add Maple syrup and concentrated milk. 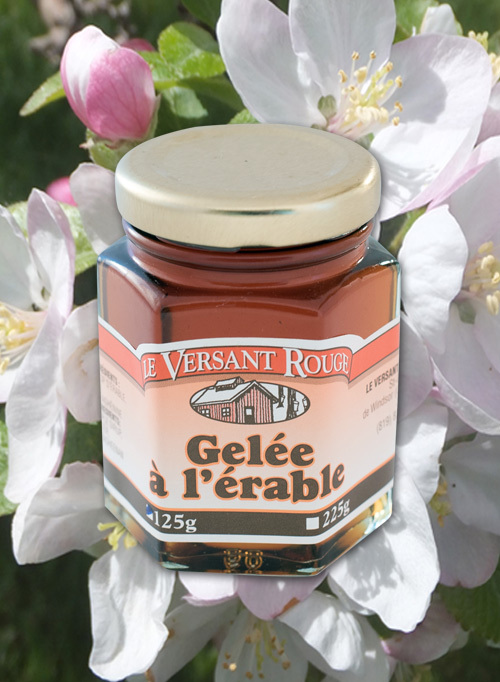 Come and discover a piece of Quebec with this unique recipe ! Your guests will love it ! Ingredients: Apples, strawberries, sugar, maple syrup, concentrated milk. Maple Jelly is a superior quality product on the market. Designed using traditional techniques, it can be served on toast, croissants, pancakes. It also goes very well with pork, chicken and beef. 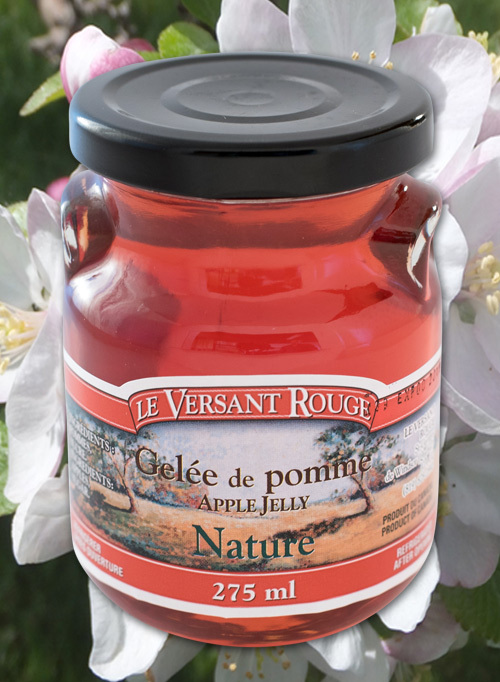 Apple jelly is a superior quality product on the market. Designed using traditional techniques, it can be served on toast, croissants, pancakes. It also goes very well with pork, chicken and beef. 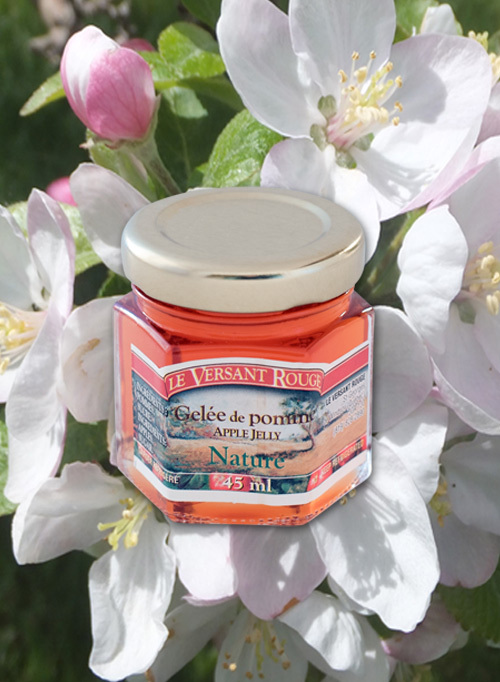 Produced naturally with mother of vinegar it contains 4% acetic acid. Without addition of preservative and chemical additives. The Nectar du Verger is a filtered, pasteurized and carbonated apple juice. It is sparkling without alcohol. Ingredients: Apple juice, acid carbonic gas. 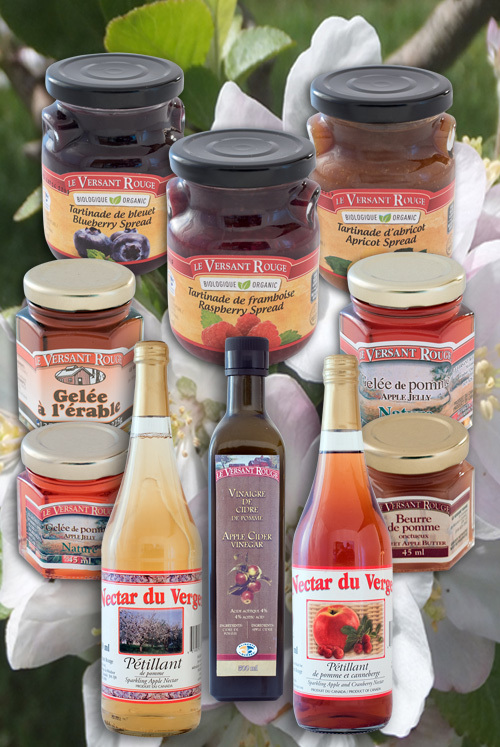 The Nectar du Verger is a filtered, pasteurized and carbonated apple and cranberry juice. It is sparkling without alcohol. Ingredients: Apple juice, cranberry juice, acid carbonic gas.